Warner Bros. has debuted the new trailer for the upcoming King Arthur: Legend of the Sword offering a crash course in the legend of the mythical figure. Check it out in the player below! Acclaimed filmmaker Guy Ritchie brings his dynamic style to the epic fantasy action adventure King Arthur: Legend of the Sword. Starring Charlie Hunnam in the title role, the film is an iconoclastic take on the classic Excalibur myth, tracing Arthur’s journey from the streets to the throne. When the child Arthur’s father is murdered, Vortigern (Jude Law), Arthur’s uncle, seizes the crown. Robbed of his birthright and with no idea who he truly is, Arthur comes up the hard way in the back alleys of the city. 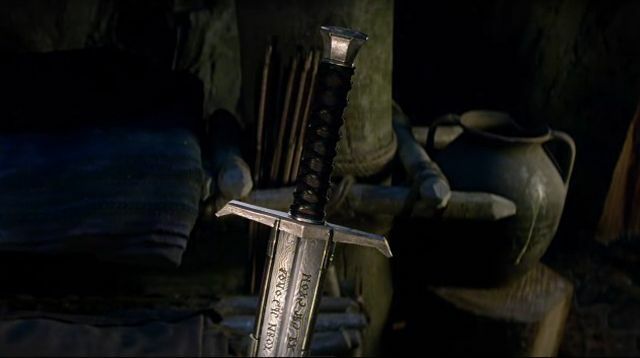 But once he pulls the sword from the stone, his life is turned upside down and he is forced to acknowledge his true legacy…whether he likes it or not. Starring Charlie Hunnam, Astrid Bergès-Frisbey, Djimon Hounsou, Aidan Gillen, with Jude Law and Eric Bana, the new King Arthur was written by Joby Harold and Guy Ritchie & Lionel Wigram. Warner Bros. Pictures‘ King Arthur: Legend of the Sword arrives in theaters on May 12.